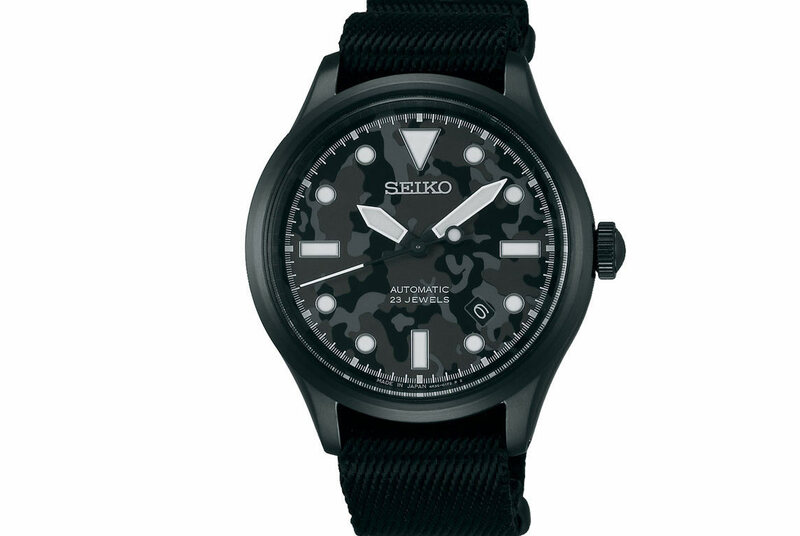 Seiko has launched ne new limited edition collection which was collaborated with the Japanese fashion label Nano Universe, featuring a series of all-black watches. Nano Universe, a Tokyo based fashion label which is famous with its simple and comfortable clothing and streetwear, has teamed up with Seiko for the second time this year. The outcome is a collection of five timepieces in black PVD coating and funky retro designs which recalls vintage military timepieces. The models in the collection are roughly based on aviation and diving themed watches of the past, with several design clues those would be quite familiar to watch aficionados. The Gothic-font Arabic numerals are taken from 1930s pilot’s watches while the California dial strongly reminds obvious Panerai models. 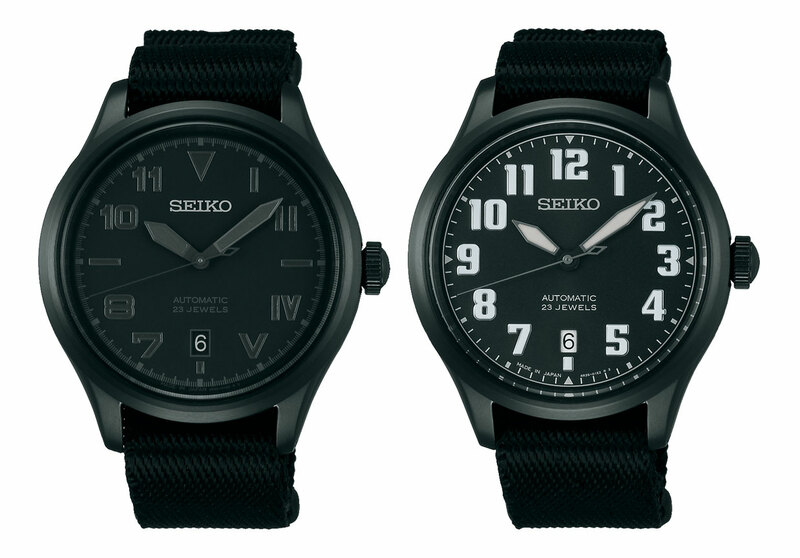 All models have black-coated, 42mm steel cases. 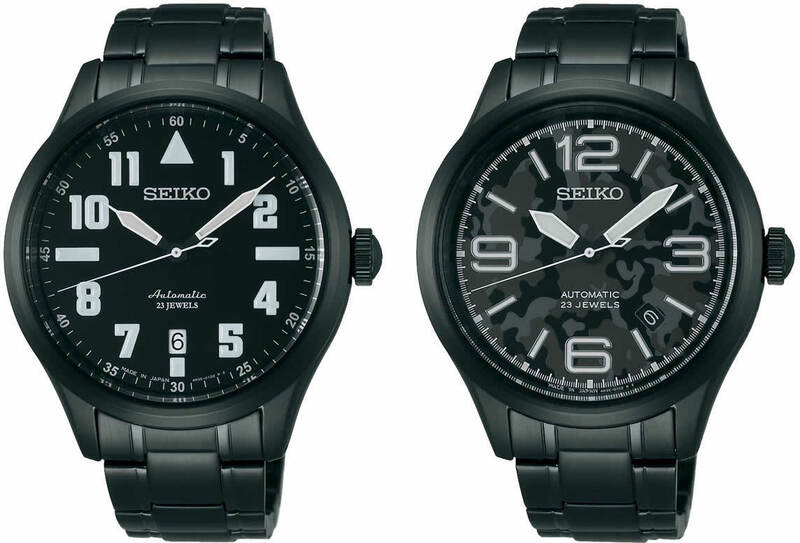 They are powered by the 4R35, Seiko’s robust self-winding movement with a date function and hacking seconds. All are available only in Japan at Nano Universe stores.